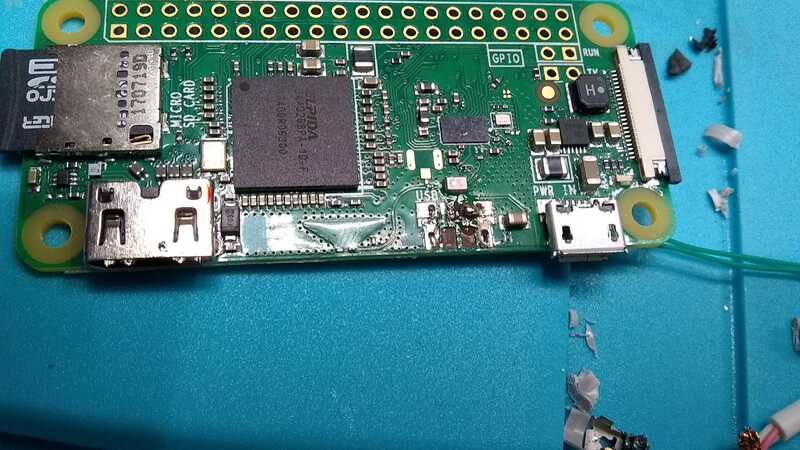 For a project I'm trying to attach a female USB port to the test pads on the Raspberry Pi Zero W. I have tried this on two Raspberry Pi Zero Ws and failed both times. I use a multi-meter to ensure I have continuity from the pads on the RPIZW to the female USB port. 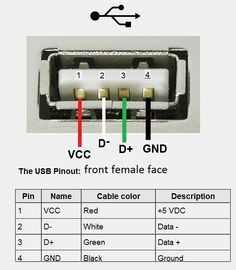 I then ensure that I have Vcc, Ground, D- and D+ in the right areas, but I am unable to communicate through this female USB port that I have soldered on. I am able to attach a USB light and it lights up so I know the power is going where it should. One thing to note, of the two RPIZWs I have tried this on, both I have unsoldered the microUSB port but on both of them I ended up tearing off some of the pads from under the microUSB connector, one is missing mostly the ground pads that anchor the port, and the other is missing 2-3 test pads where the GND, VCC, D-, D+, and signal goes. Could this have damaged the board and made the USB capabilities nonfunctional? Troubleshooting I have done so far: ensure continuity from the test pad to the female USB port, ensure the wires have continuity through the female port to the inside of the connector (where you plug in a USB male), double check I have the data lines wired correctly and reverse data lines on one of the RPIZWs to make sure I'm not mistaken. As you've not pulled the ID pin to ground (not mentioned in that tutorial either) your zero is probably coming up in device mode rather than host mode. If you have a suitable cable (USB A male at both ends) you can check by connecting it to a PC and seeing if a new deice is detected. Thank you so much! I bridged the signal line to the ground next to it with some solder and now my USB port works! For anyone why may run into the same issue, here's a picture of how my RPIZW looked after I bridged the signal pin to the ground from where the micro USB used to be. Note: I was a bit destructive with my removal, take your time as you can see I'm missing some pads.